Bishnu and family. Photo taken in January 2014. COMMITTED has been supporting Bishnu and her siblings for over a year and a half with their education. You can read about how it all started in October of 2013 here, about the support we provided part of that academic year (i.e. October 2013-April 2014) here and about the support we provided this past academic year, 2071 (2014-15), here following my adventurous journey to visit the family and a fundraising (and awareness) campaigns to support the education of siblings and children of dead Nepalese migrants. 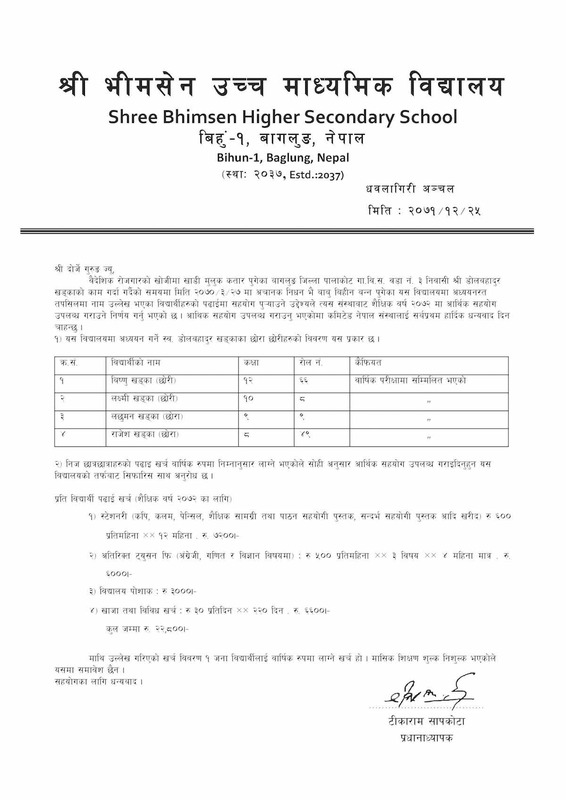 Thanking COMMITTED for their support, the following request letter — from the Principal, for this academic year, 2072 (2015-16) — outlines the academic standing of the four children and the details of their educational costs. 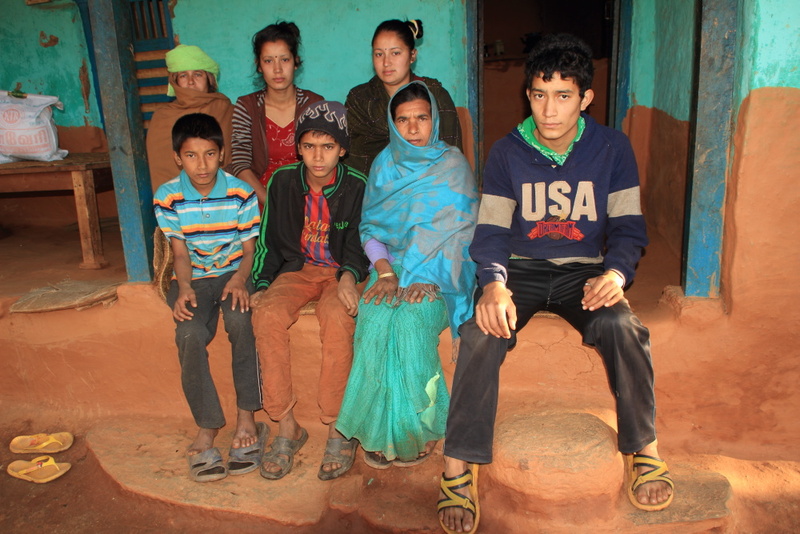 Sponsorship request on behalf of Bishnu and her siblings for the academic year 2072 (2015-16). Supplies (notebooks, pencils, educational materials, reference books):Rs. 600/month X 12 months = Rs. 7200. Mandatory private tuition (in English, Mathematics and Science):Rs. 500/subject/month X 3 subjects X 4 months = Rs. 6000. Snack and other expenses: Rs. 30/day X 220 days = Rs. 6600. The above is the cost for per student per year. Tuition fees are not include since its free. The fifth school-going child, Sharmila Khadga, is sick and currently in India with a relative getting treatment. Laxman is repeating grade nine as he failed the exams; he was taken ill with stomach ulcers and unable to prepare well for them. Total support needed for the three children for the entire year: 22,800 X 3 = Rs. 68,400. Monthly deposit for 11 months = 68400/12=Rs. 5700. In conclusion, the children will be provided with a total of Rs. 81400 (68400+13000) this academic year, 2072 (2015-16).